Our business philosophy is to give our clients and customers value-added products and services and to partner with them in their growth and success story. We believe in long term business relationships and most of our business comes from clients who have stayed with us for years. You can manage your bookings using the dynamic backend in the system. Admin system is designed to be user friendly and you can lean the system in no time. You can manage your booking and returns and retain your customer details. Ski hire software is developed with consideration of practical aspects of Ski and Snow equipment rentals. 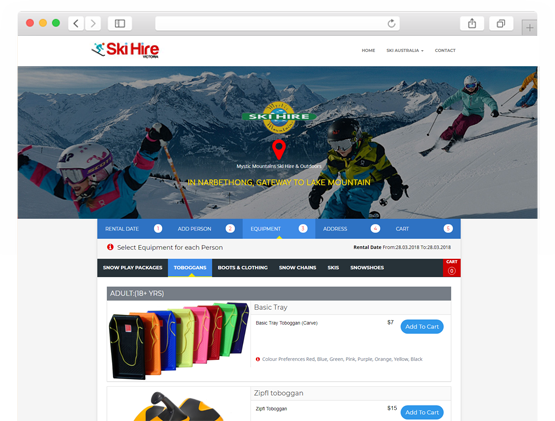 It has rich features to differentiate itself from other ski hire software’s in the market. Contact us and we will guide you how to take your ski hire business online and increase your revenue. Start Your Online Ski Hire Business ! 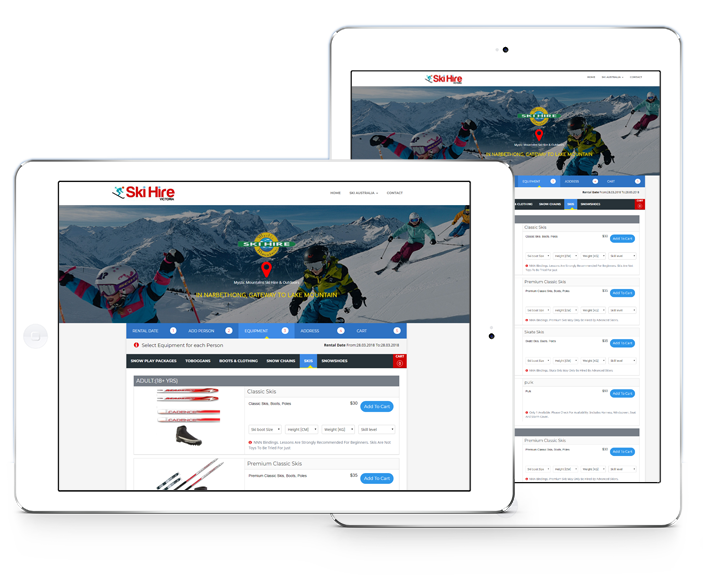 Ski Hire software come with loaded features to help user experience for your customers. Cloud based application with customer friendly user interface. Mobile responsive application for your customer user experience. Real time data for your orders and order processing. View and Print you’re booking details online. Automated emails for payment confirmation. Manage your returns using our returns functionality . Ski Hire rental software will increase your operational efficiency of your business. You can get guaranteed orders online and you can manage their bookings and returns using your Admin console that comes with the software. Experience the power of cloud computing using our Ski hire software solution. We also customise the software to suit your needs. Looking for a Ski Hire rental solution for your Ski equipment rental business or shop? 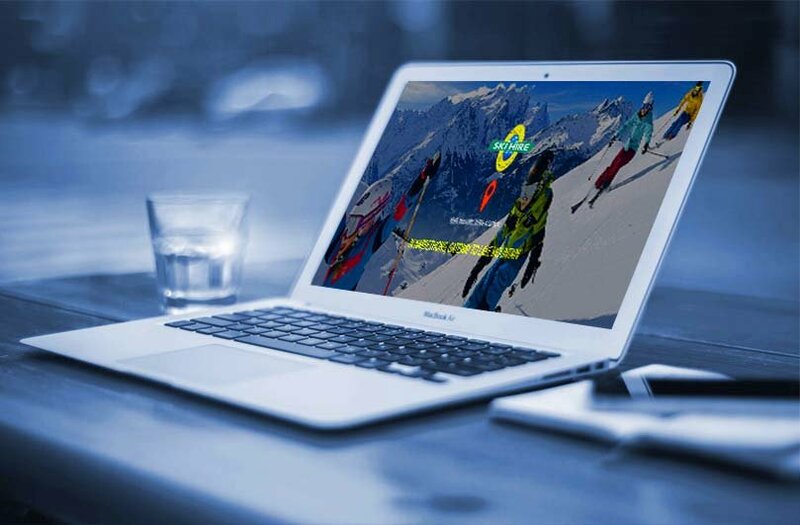 Ski hire rental software is a highly customisable solution to suite your needs. 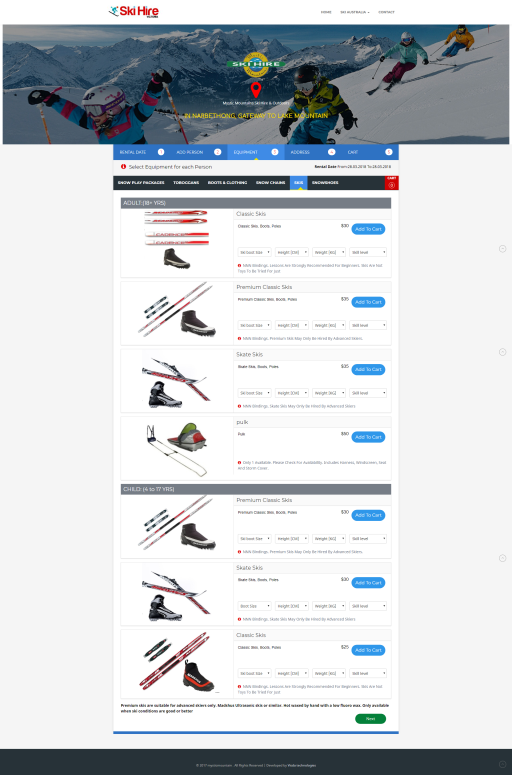 If you are a Ski rental shop or business and looking to take your ski hire online, contact us and we can help you to streamline your operations.